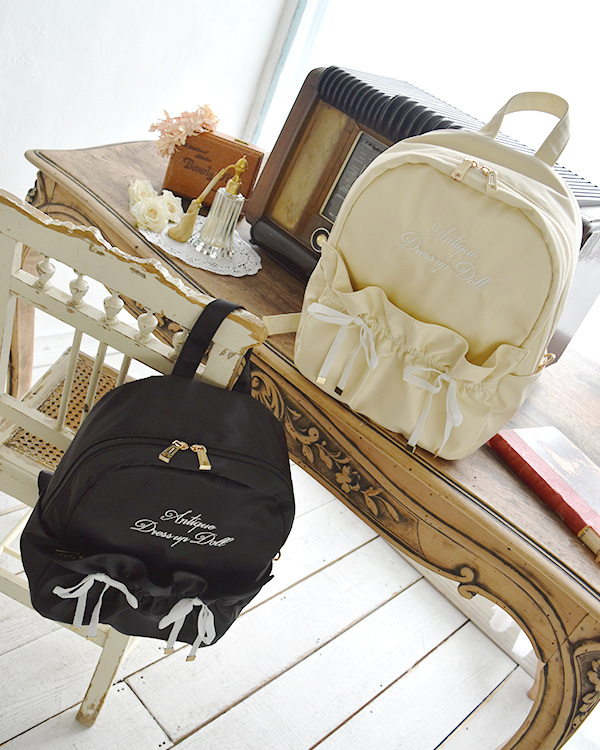 Frills and velour ribbons, such a cute nylon backpack. The frills parts are also pockets. Cute embroideries from this Autumn collection theme: "Antique Dress up Doll". Very convenient item to bring your favorite items with you everywhere.